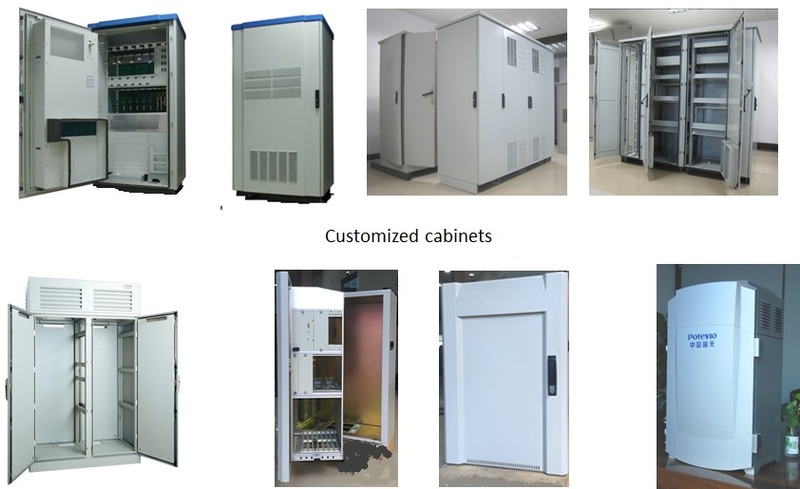 This series of DC air-conditioner products can be widely used in enclosed area for climate control, such as; Data Centers, Communication, wireless communication in or out door cabinets with IP55 or IP65, battery cabinet, lithium battery, power, industry control in our outdoor cabinets ICT & Mobile telecom Data Center applications with redundancy ducted versions or plug and play installations in walls IP55 or IP65 non air- ducted or air-ducted plug and play modules versions for direct installation. 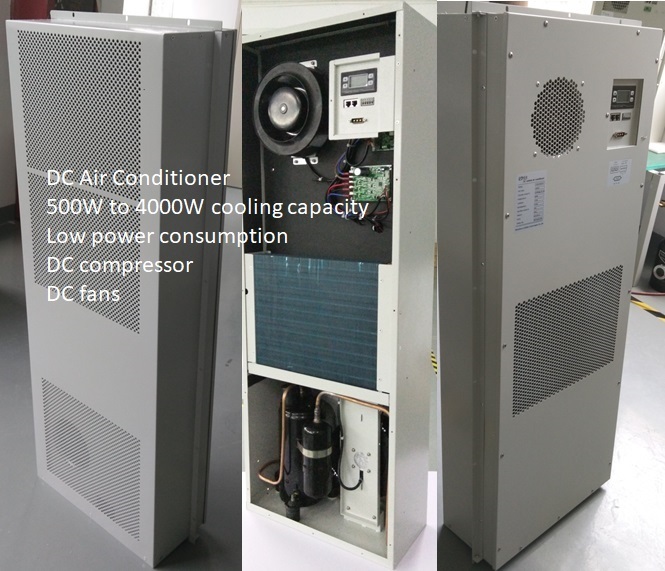 DC precise temperature control through inverter digital regulation of compressor, fans. 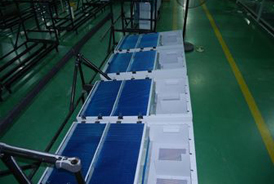 A comprehensive sell-protection design to realize partial load starting, partial load operation at severe ambient condition. Controller includes Modbus RS485, TCP IP socketand and 5-10 diffrent catagory alarms. 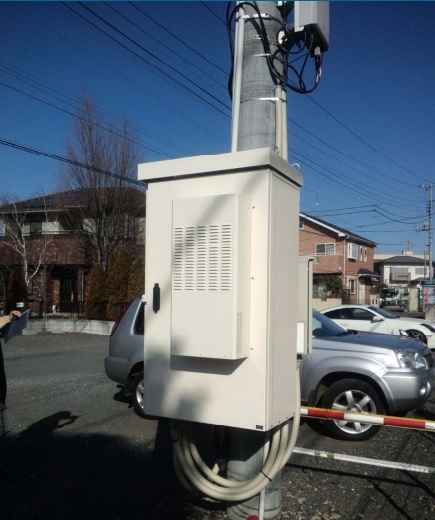 Optionally modem and antenna can be included, if Hunterhex lithium batteries are used they have inbuilt CANbus. Global certifications: CE, TÜV, CQC, SONCAP, UL and more local certifications are available please ask us if any certification is missing and we can assist you in the process. 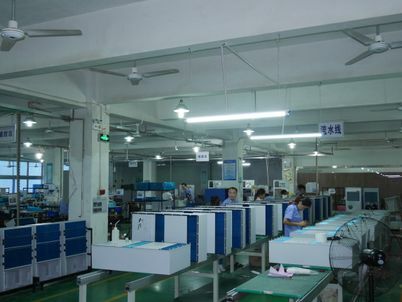 Energy saving reach to comparing with A.C. AC version product. 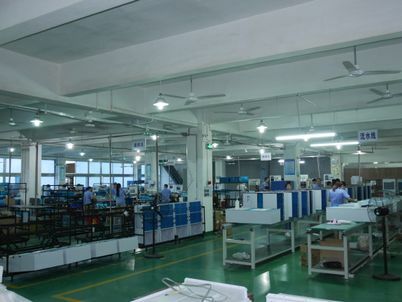 IP65 environment protection & fit for T1, T2 T3 high temperature working condition by using of R134a refrigerant gas. DC precise temperature control through inverter Hunterhex digital DC controller with High International Brands of compresso and fans. Global certifications: CE, TÜV, CQC, SONCAP, UL and more local certifications are availableask us if any certification is missing and we can assist you in the process. Energy saving reach to 50% comparing with A.C. VAC version product. All units with Grenn ga scondition by using of R134a refrigerant gas. 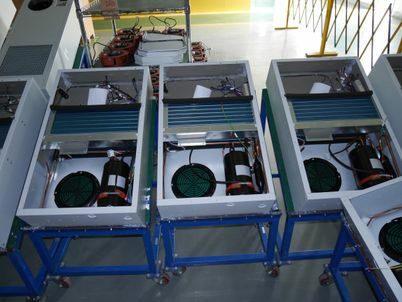 Voltage DC 48V or AC 110V/230V/380V Versions with combination of free-cooling with Heat Exchanger (HEX) or pure DC Air-Conditioner. 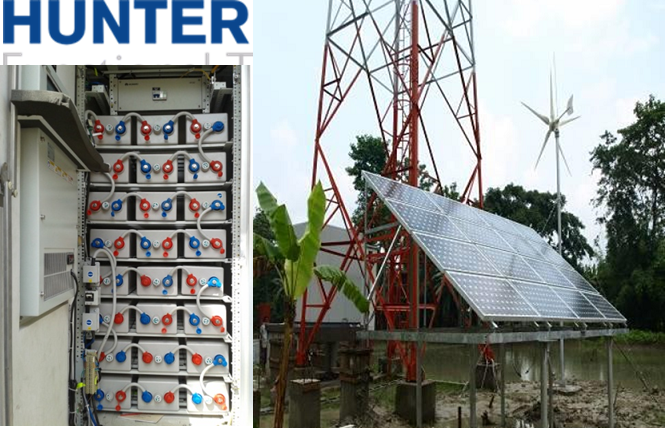 The best DC cooling for Grid-tied and Off-grid solutions operates with AC grid ON/OFF and solar, wind, and DG diesel generator etc, hybrid power system with DC LFP Battery banks that we can supply loose or in Oudoor Cabinets. 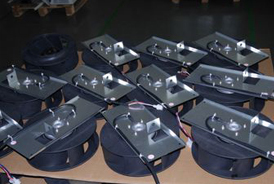 Strict process control and international brand parts deployed to ensure high quality and reliability of this product. LED Display, all the settings can be changed at the field. Dry contact alarm output,NO/NC optional. Intelligent controller show status and communicate remotel. IP65 protection to avoid moisture, dust and water. Operate and work in high T3 55oC ambient temperatures. Designed for easy installation and service. Optional modem function for smart mobile monitering. Automatic Emergency & Power failure DC fan cooling. High cooling efficiency & capacity.